Concerts are events where you should be able to relax, unwind, and enjoy the music performed by one of your favorite bands. You do not enter a concert with the expectation of injuries, although injuries and accidents are not unheard of in venues which cram a number of people into a small space. The venue owners should be held liable for any injuries which occur during an event at their location. If you or somebody you love was injured while attending a concert in Florida, it is important that you reach out to a Miami concert accident attorney as soon as soon as possible. You may be entitled to compensation for your injuries and an attorney will ensure that your rights are protected. The theory of premises liability extends to concert venues, which have a high duty of care to protect any concert attendees. As a concert attendee, you are considered to be an invitee of the concert venue and therefore are afforded the utmost protection by the concert venue. The failure of a concert venue to maintain the property or to prevent criminal activity from occurring on the premises could lead to a claim for damages when an accident occurs. Concert venues are often large halls which must pass certain safety codes, such as the fire code limits on the number of people, the number of fire exits, and adequate security placed on the premises. Many accidents which occur on concert venue grounds may be the result of other concert attendees. However, it is the duty of the concert venue to prevent any accidents from occurring, including criminal attacks, through security guards and ongoing inspection of the property. While many concert accidents are the fault of an individual person, the owner of the venue will often be held responsible for any accidents which result in injuries. As property owners, the venue is in charge of ensuring the safety of all concert attendees. This duty includes the responsibility to warn of any hidden dangers in the facility, as well as ensure that any physical altercations are prevented as best as they can be, or stopped as quickly as possible. After a concert accident, you may receive a call from the concert venue’s insurance company, attempting to coerce a settlement. It is important to contact a skilled Miami personal injury lawyer prior to accepting a settlement offer from an insurance company. Insurance companies are in the business of making money, and will often not take into account all the factors which could result from a concert accident. A personal injury claim will include all extraneous damages, including those which could continue to impact the victim well into the future. 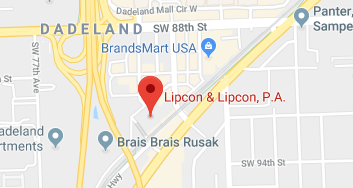 If you or a loved one was injured in a concert accident, do not hesitate to contact the attorneys of Lipcon & Lipcon, P.A. Our lawyers have over 60 years of combined experience in handling personal injury claims, including those sustained while at a concert or related event. A night spent enjoying your favorite band or the symphony is often an event you have looked forward to for months. The failure of the concert venue to protect its guests could result in terrifying injuries to concert goers, when they had nothing to do with the resulting accident. Contact us today for your free case evaluation and a Miami concert accident attorney will assist you in preparing a claim for damages.